Sam Worthington Ready For "Clash 2" and "Avatars 2-10"
Before Sam Worthington travels back to Pandora or Ancient Greece, he’s to the 1960s on the hunt for a Nazi responsible for a litany of atrocities. 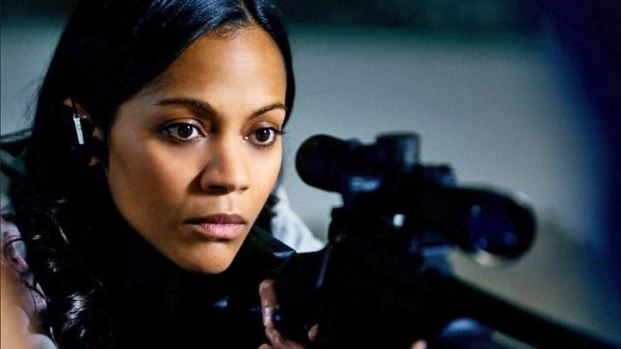 Zoe Saldana, who plays the violent femme fatale Cataleya Restrepo in "Colombiana," talks about the film. Access catches up with "Clash of the Titans'" Sam Worthington on the red carpet at Grauman's Chinese Theatre in Hollywood where he talks about his "Christmas hams" and doing stunts in a skirt. Plus, why doesn't Sam like having his picture taken?